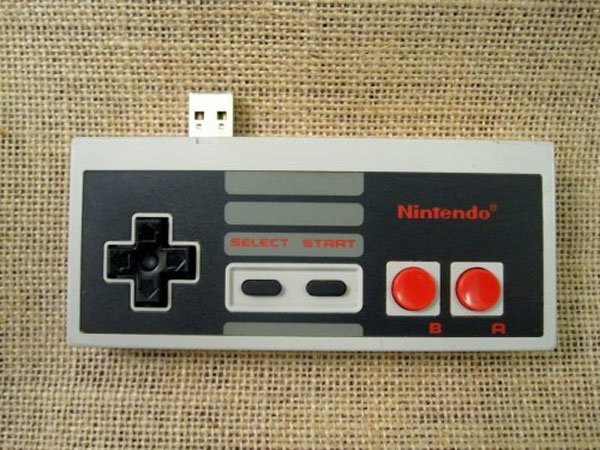 Here is something fun for all the Nintendo fans out there, an NES Controller USB Drive. This fun NES Controller USB Drive comes with 4GB of storage and unlike the versions we have seen before, this one can be plugged directly into a USB Port. It also comes with a USB cable to you can place it on your desk, a great accessory for any Nintendo geeks office. ‘This old school Nintendo NES controller is actually a 4gb USB drive in disguise! Score major points getting this for the geek in your life, or buy one for yourself with pride. If you want one, the NES Controller USB Drive is available for $45 from Dare Dream.